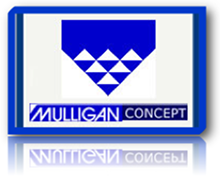 The Mulligan concept was developed by New Zealand physical therapist Brian Mulligan and include MWM (mobilization with movement) in the extremities and SNAG (sustained natural apophyseal glides) in the spine. These techniques are used to increase range of motion during functional movements. The mobilizations are sustained throughout the movement and released at the starting position. This treatment performed in the position that is painful and limited but performed in a pain free range to allow for improved joint movement during this specific activity. For example; if bending forward to reach for an item in painful, the mobilization would be performed while bending forward in a painless range to decrease joint restrictions and improve fluidity of movement. An increase in this range can be seen after just one treatment. Combining this treatment option with other manual techniques and strengthening affected areas has shown to drastically impact mobility and function.